Last year I was looking for a job and had plenty of time to attend Archtober Building of the Day tours, as you can see here. This year I am working full time and being at 12pm anywhere in the city is not something that is easy to do! 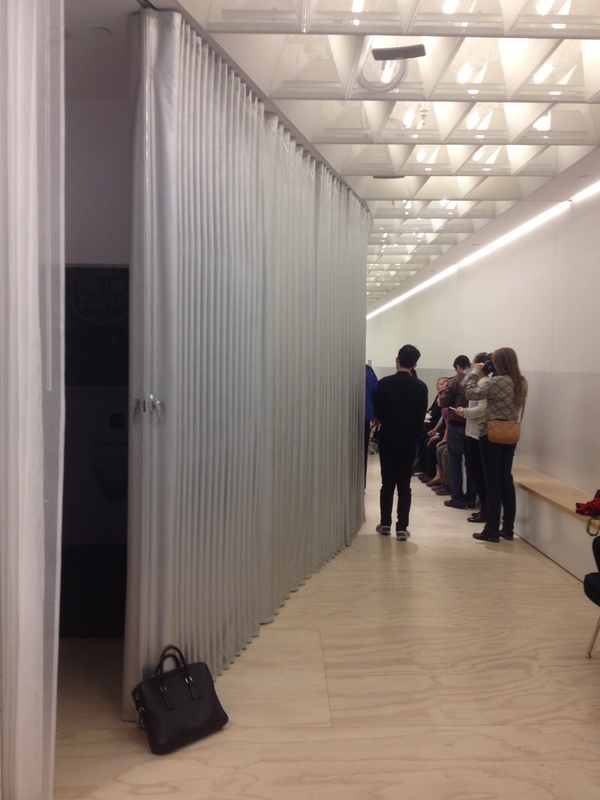 I could make it last Sunday though, for the petit bijoux that is the Van Alen Institute. An empty view of the space, with the main area currently used with office stations. 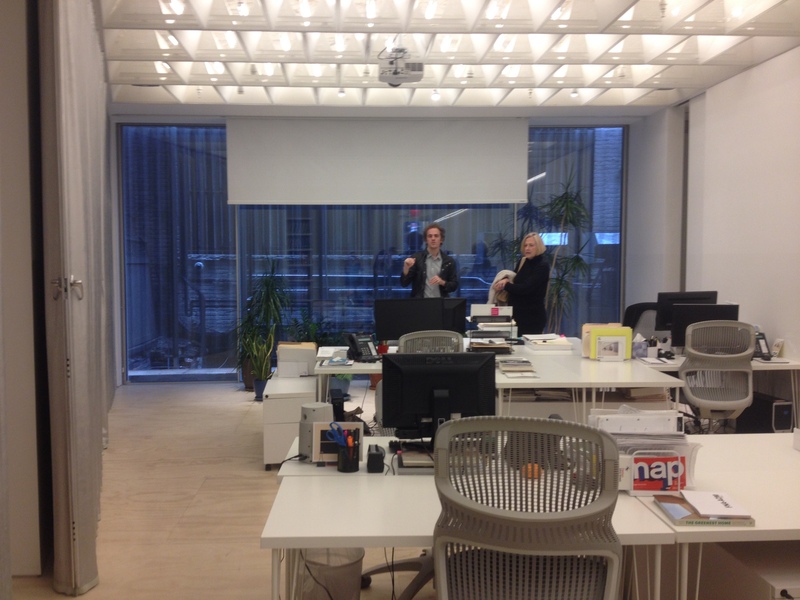 Van Alen Institute launched a competition back in 2013 for the transformation of their office at 30 West 22nd St, Manhattan. One of the main goal was to reconnect with the street level, to re-establish a link with the urban realm. The Institute would be at ground level, while levels upstairs would be offices on lease. The plan says it all. Collective-LOK won the competition with a strong concept. The idea is to use a series of screens to address flexibility, which was the big question of this small place. 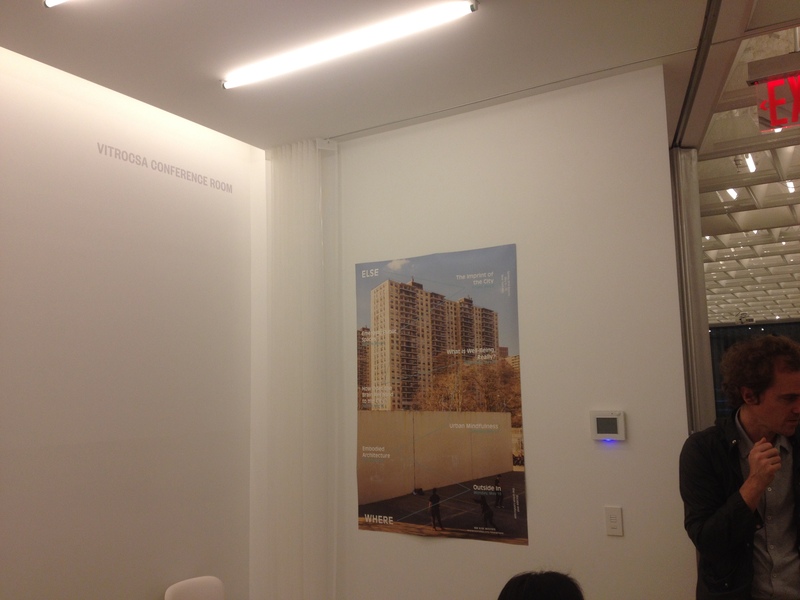 With moving parts and adaptable rooms, the architects presented screen scenarios, or Screen Play(s). As flexibility can push you far, it was decided early on to stick to absolute necessity: not everything would be movable, just the very necessary, namely in terms of furniture. 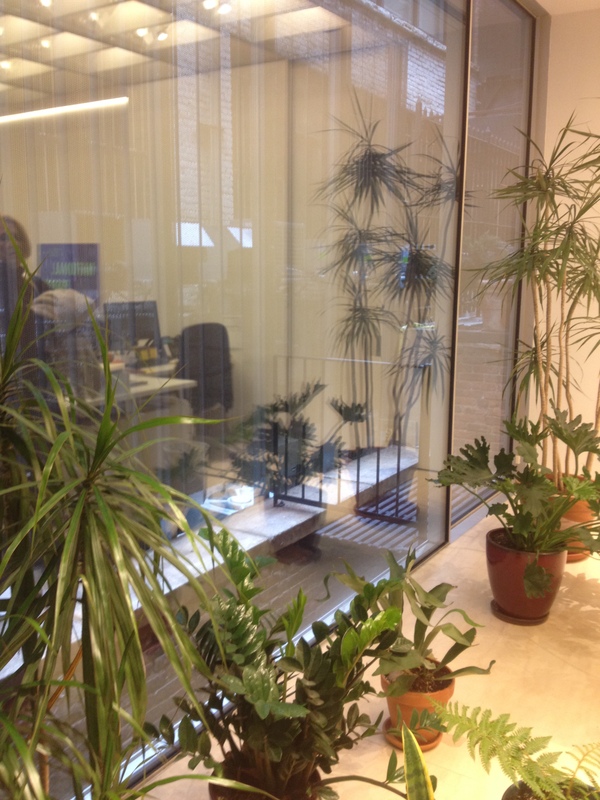 View to the office section, where every piece of furniture is removable. First, screens bracket the building within its limits, between the streets of the block, in order to enable the institute to get outside of itself. The initial plan thus presented a seating area on the curb, to drag people in the building (see below). The street furniture, 1st screen of the project; image from the competition entry. 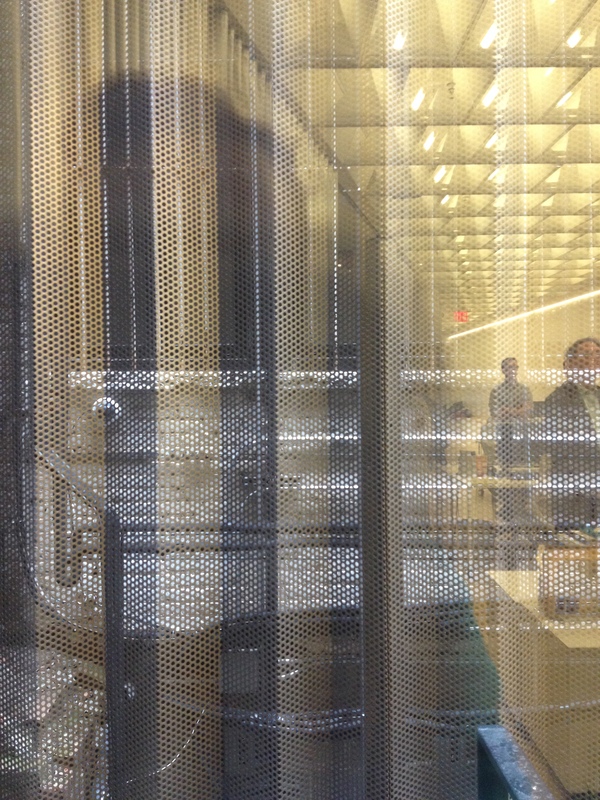 In the building, light mesh screens can be pulled to divide space. 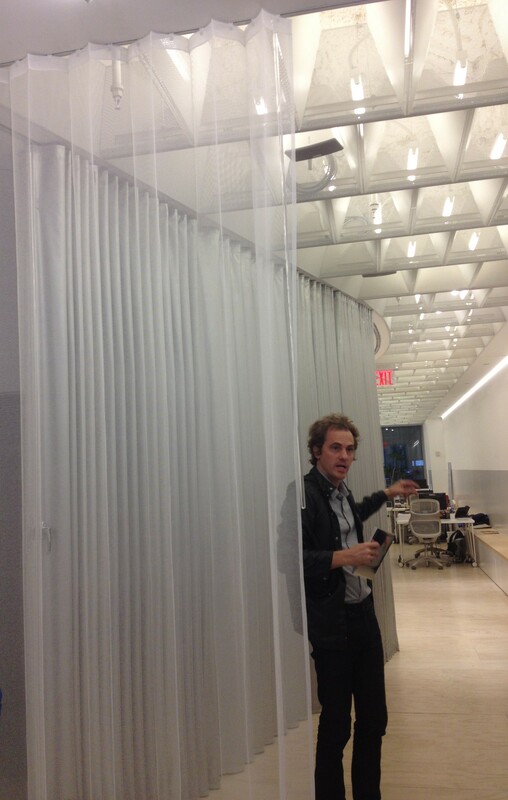 Transversal mesh curtain, with the architect behind. Second, the silver vinyl screen shapes the curve that divide the space (see plan above) and hides bathroom, kitchen and conference rooms. It can open or close to adapt to different situations. 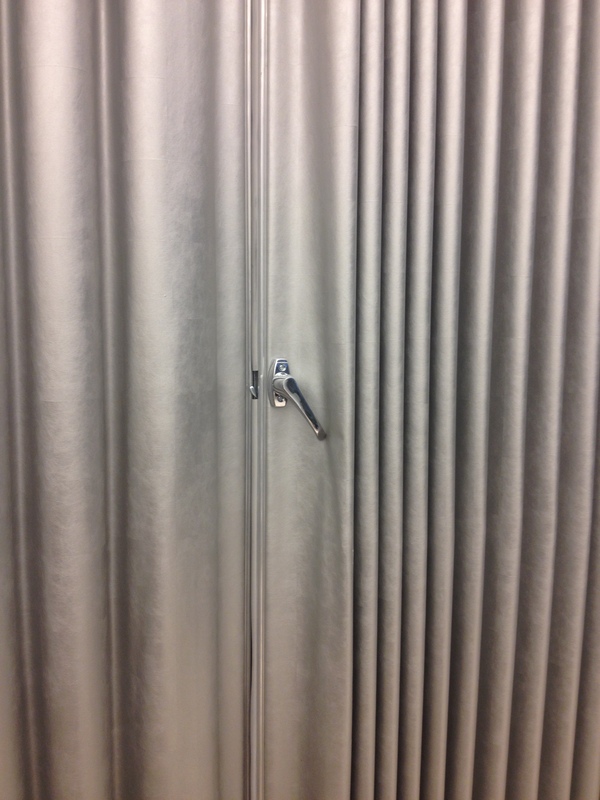 This curtain is even sound insulated and gets top and bottom sweeps for the sections that need it, like the conference/meeting rooms. The curve is meant to suggest continuity with exterior. 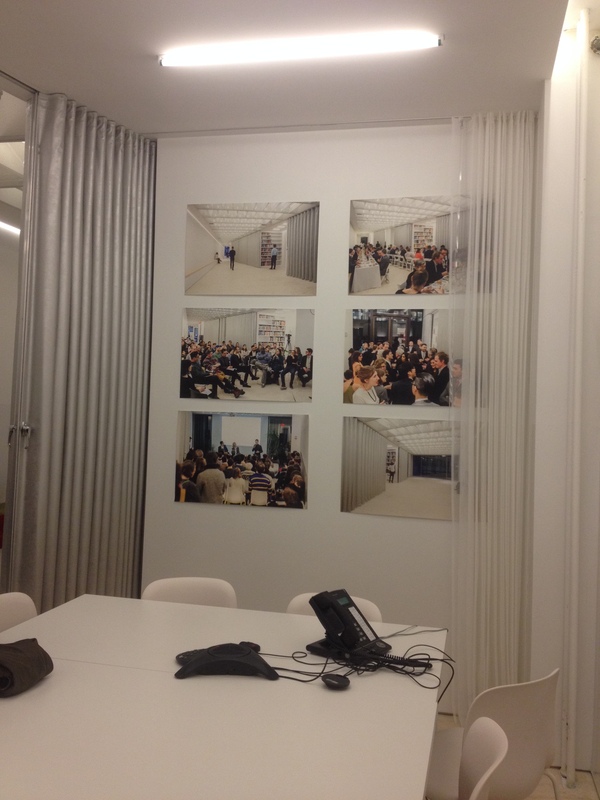 The silver screen connects the glass openings – as wide as possible on both sides – and includes the conference room (below) – key programmatic element from the beginning – that is located in the middle of the building. 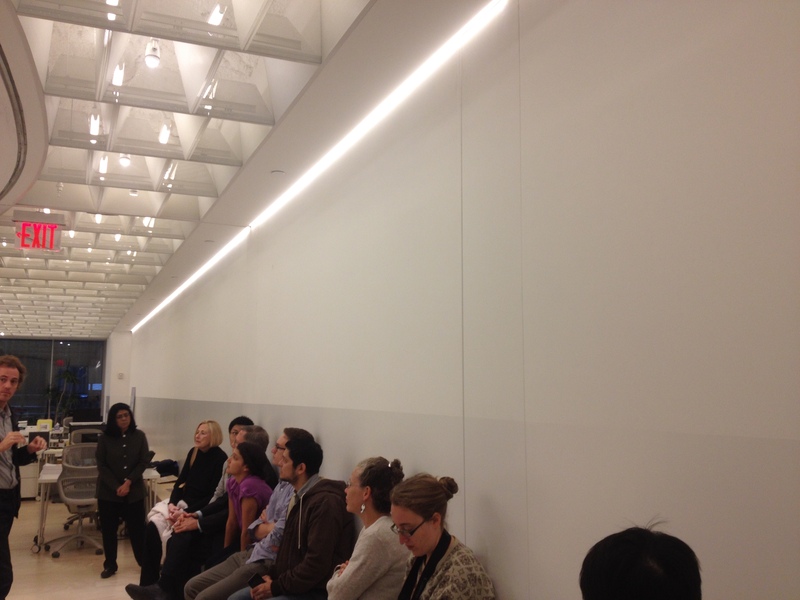 Third, the 78ft long wall of content visually drags passerby in the building, or at least suggests the Institute’s programs to the street. Doors hidden within can open to create a larger conference room. The wall is divided horizontally with a difference of sheen and flat paint, the latter ideal to support projections. The continuous bench along the wall is storage. 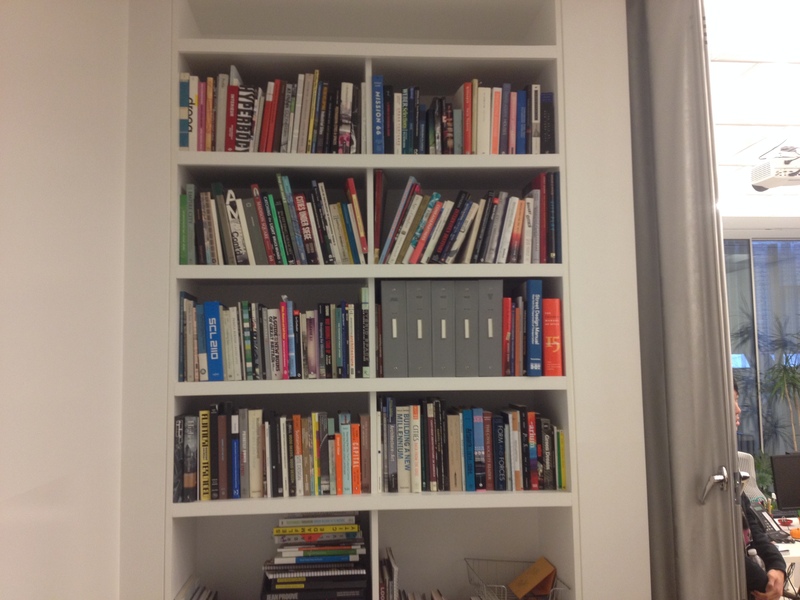 The wall of content, with two different paint finishes and a storage bench. 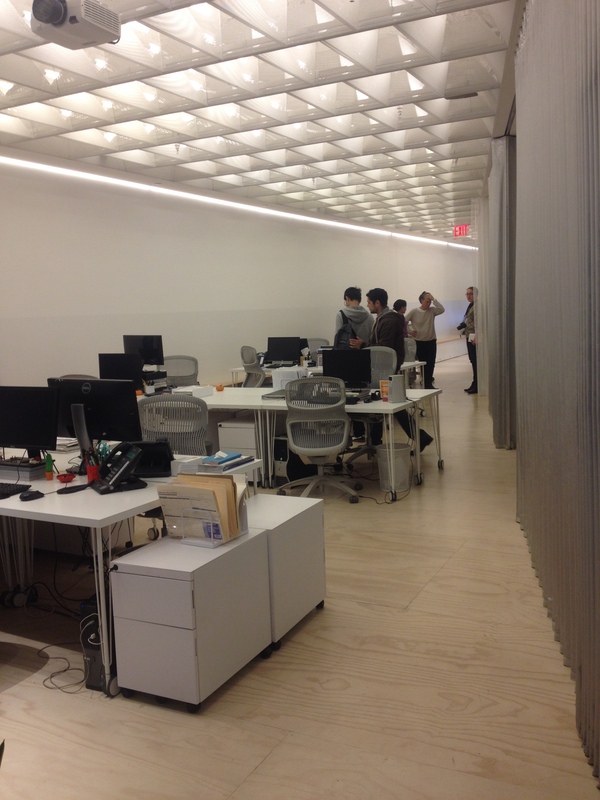 Fourth, the ceiling is another screen that is an important part of the project. 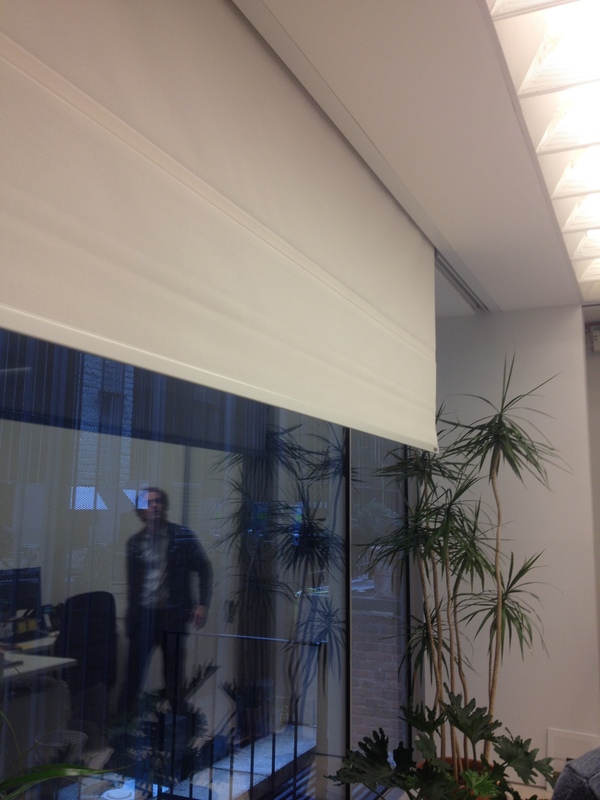 It conceals utilities, mutes them by a grille-like material and its diagonal view. 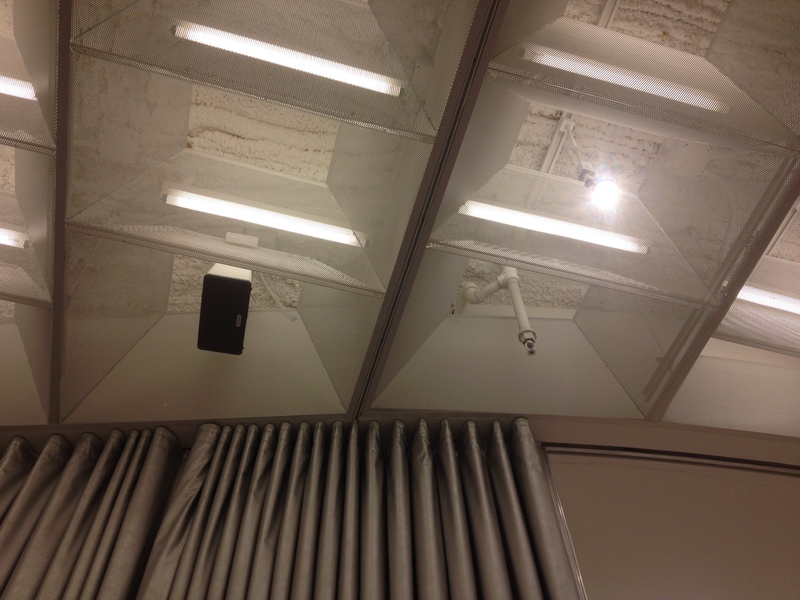 The actual ceiling is unfinished, and the sound insulation foam left open is even better for sound. The grid shifts because of the curve that pushes/inflects it toward the straight wall. The ceiling cells are all custom but 80% are the same. 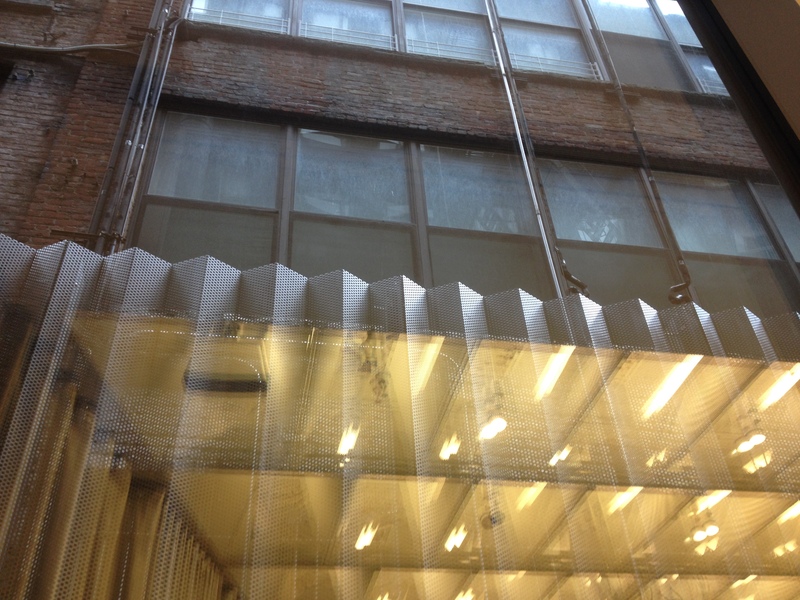 As the last screen, on the other side, the building ends up with a whole glass opening and a mesh hiding hideous neighbor’s mechanical equipment. 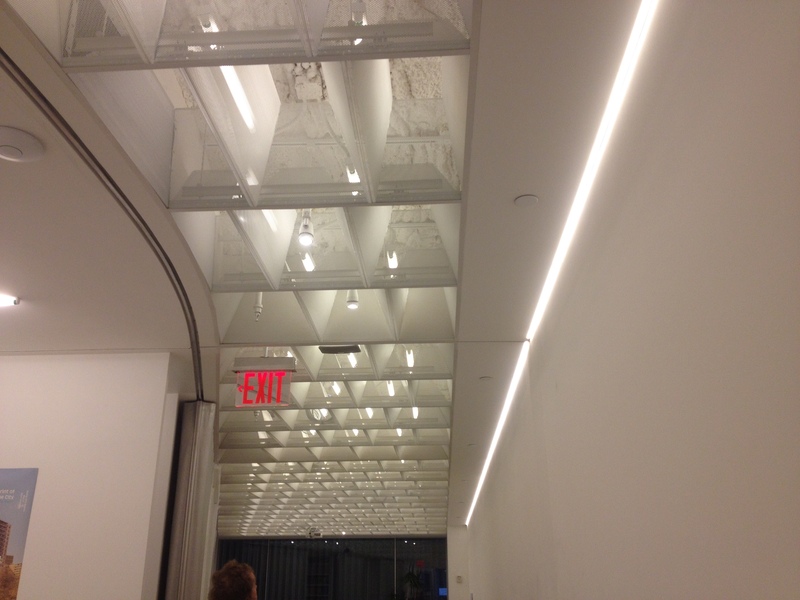 The giant glass panel (a donation) has a strong reflectivity, and thus visually adds up different layers / screens. A large part of the materials and equipment come from donations or discounts because this is an Institute. A team – including the designers – was in charge of contacting manufacturers to get donations. The project ended up being very cheap in the end, see the list of benefactors here. 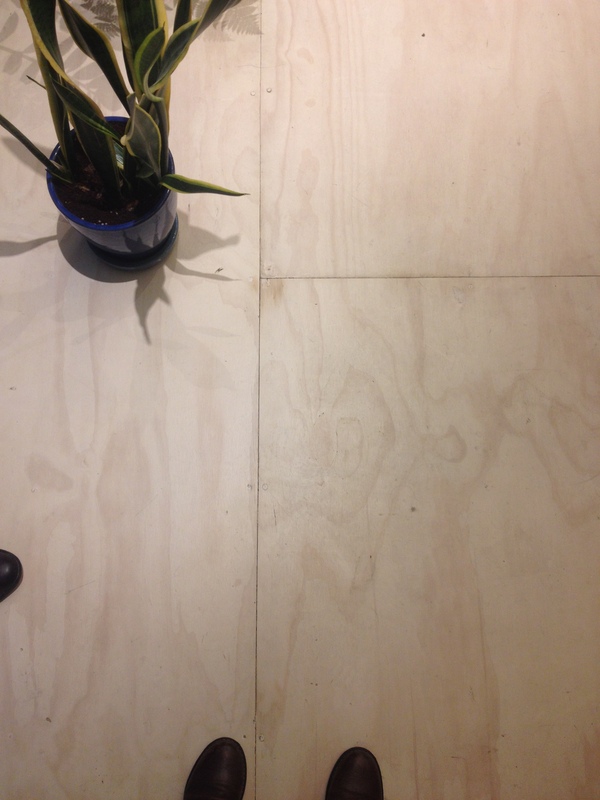 The floor, basic wood boards, cheapest floor you can have. Time-wise, the competition was in 2013. After a time lapse to arrange contract and schedule, the construction started fairly quickly, as the design was all there at the competition entry. After 8 months of construction, it took about 2 years all in all for the project to be achieved. But after a few months after the opening, the punchlist is being resolved next month. The library. And no, the Institute doesn’t sell books anymore, but regularly organizes event around book releases. 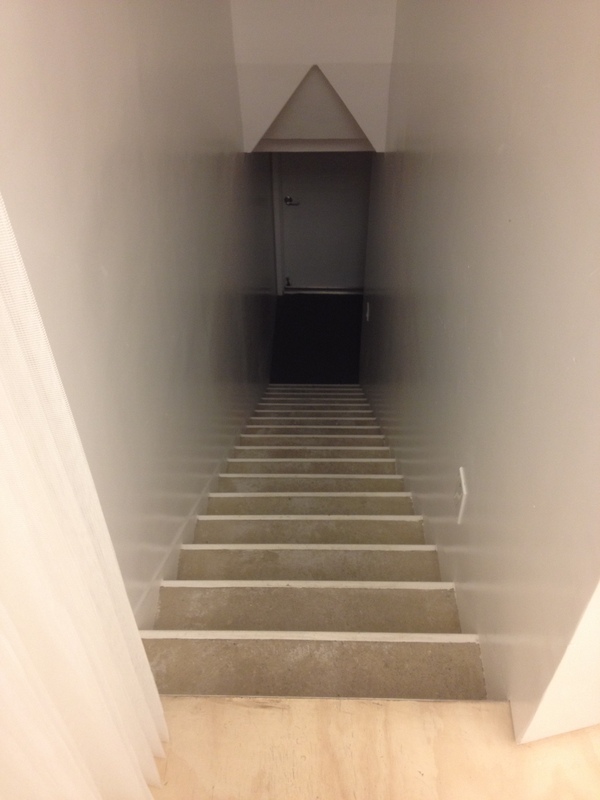 The stairs to the basement, where additional storage space participates to the flexibility of the ground level.